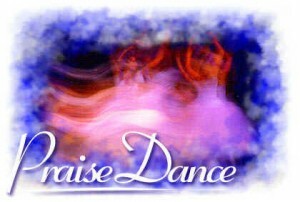 Praise dance as the term suggests, is using song and movement to worship God. While this form of expression in honoring God may seem new to some in the Christian world, it really isn’t. The Bible contains many instances of people dancing in praise. The book of Psalms has many instances of David offering his praise in the form of dance as is evident in the following verses as it is in other Bible verses. In almost all forms of worship using movement, music of some form is integral, however, some music is more appropriate depending on the type of dance. 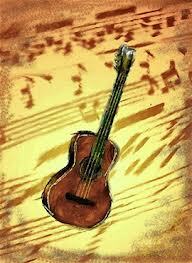 Psalm 150:4 Praise him with tambourine and dance; praise him with strings and pipe! 2 Samuel 6:14 And David danced before the Lord with all his might. And David was wearing a linen ephod. This form of dancing is mostly a combination of ballet and modern dance moves which people do during a church service. In many churches it is a part of the ceremony and helps the congregation better visualize the message being delivered. This form uses symbolism in movements involving lots of kneeling, forming the cross and holding the hands as if in prayer. Many consider the origins of this form to be the African American community, and it tends to be lively and up-tempo. This form is not specific to any particular religion and refers to dance movement in any sphere of worship. In Christianity, this form is normally very solemn in nature. As the nature of worship in dance changes, other forms are developing such as Hip-Hop worship dance which involves telling stories using popular dance moves. This is more popular among African Americans and the younger generation because of the lively movements. With this worship form the use of colorful banners and streamers is also common. The number of dancers can vary from one person (male or female) to a large group. Some of the movements rely on choreography, but spontaneity is also common in some religious gatherings. Some institutions now teach worship dancing to dancers who want to dedicate themselves to using their love of the art form in worship. Some schools actually offer certification for those who complete their programs. In some services, worshipers use mime to tell a story and to make the message more relate-able. The use of accessories such as tambourines, cymbals and other small, lightweight instruments is common in church services and dancing within the church. Worshipers see it all as part of making a joyful noise unto the Lord. Praise dance is both entertaining and spiritual. It adds a strong visual element to the whole worshiping experience. It is another form of ministering to believers and unbelievers and getting the message out.